Maintain outperform with an unchanged target price (TP) of RM2.15: Yesterday, IJM Corp Bhd announced that they had accepted a contract award amounting to RM505 million from Affin Bank Bhd for the construction and completion of the superstructure work of the proposed 47-storey office building at Tun Razak Exchange (TRX) in Kuala Lumpur. The construction work for the project would take up to 26 months and it is expected to be completed by December 2020. This is IJM’s first job secured in its financial year 2019 (FY19), as the last contract secured was Light Rail Transit 3 amounting to RM1.1 billion back in March 2018. We are neutral on the win of RM505 million as it falls within our remaining RM2 billion replenishment target for FY19. Assuming pre-tax margins of 10%, the contract is expected to contribute RM17.5 million to its bottom line per annum. 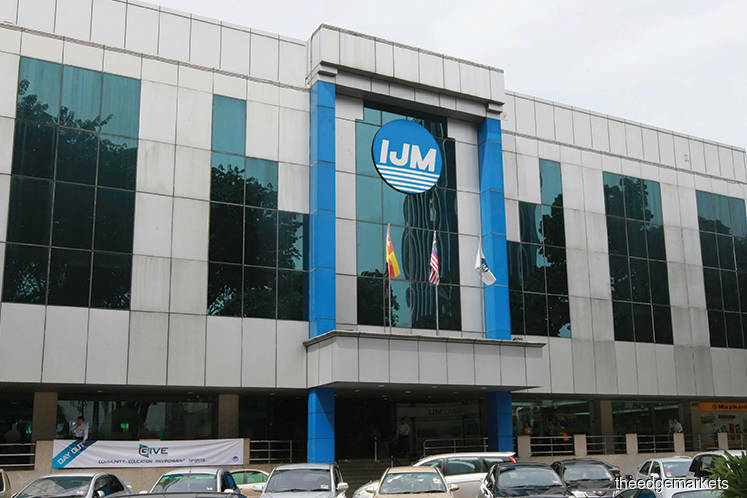 Following the contract award, IJM’s outstanding order book currently stands at around RM9.3 billion (previously, RM8.8 billion), while its property unbilled sales remain healthy at around RM2 billion with visibility for the next three to four years. While the infrastructure job flows from the government have slowed down due to a review, we believe there are still sizeable jobs in the market in the private sector like Bukit Bintang City Centre and TRX. Post contract win, we make no changes to our FY19-20E earnings as the contract win is within our order book replenishment of RM2 billion for FY19. 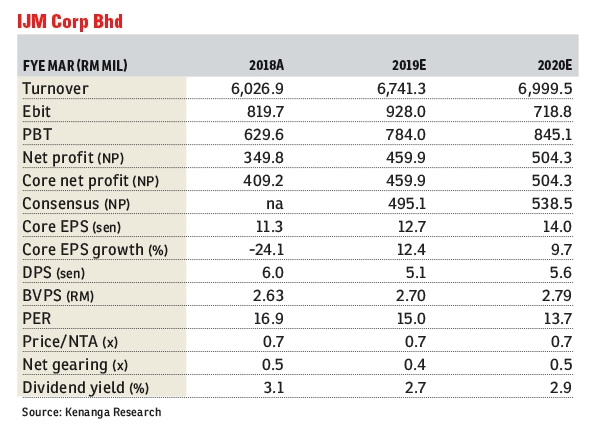 Despite the uninspiring outlook on the construction sector due to delays/scrapping of several mega projects and challenging operating environment for its plantation and infrastructure divisions, we reiterate our “outperform” call on IJM, with an unchanged sum of parts-driven TP of RM2.15. This is backed by a robust outstanding order book and unbilled sales.